Riverview Hospital happily gives 1200 blankets and quilts to newborns every year. Prefer size to be between 30” and 36” square. Double flannel is great. Quilts are fine, too. If tied, use embroidery floss not yarn. Can also use burp cloths and new 3 to 6 month sleepers for layettes. They also have a need for fleece blankets for older babies, toddlers, and preschoolers. Prefer 45” square or 45 x 54.” Can have self fabric fringed edges. Hole punched and crocheted edges are fine. Nothing with skinny fringe or large holes. They also have needs for school-age children. Larger rag quilts and fleece blankets are given through the hospital, schools and to homeless families. Look for additional information/details on the Mudsock website (August 29, 2018 post). Throw size quilts will be made and donated for distribution to adult patients in Community North Hospital on Christmas. Donated fabrics for quilt tops and backs are for sewing quilts for adult patients at Community North Hospital. Any children’s fabrics donated will be handled by the Bee Administrator to be given to Mudsock charity projects for children. Any donated fabric not suitable for quilting will be handled by the Bee Administrator to be given to the Mudsock Tag Sale. Every effort should be encouraged with training for members to complete their quilt themselves. Donors of quilt tops that need to be quilted by member volunteer long arm quilters must be given to Bee Administrator to determine availability of said volunteer. Donor of quilt top should have the quilt top pressed and threads trimmed, quilt back pieced (if necessary) and pressed. Both should be submitted for quilting on hangers. Long-arm quilters will provide the batting and will be reimbursed for cost by Hospital Auxiliary. Community North Quilting Bee operates under Mudsock Quilters Guild, Fishers; a not-for-profit 501(c) (3) organization. Monthly Bee meetings will be held at Community Network Health Pavilion, 9669 E. 146th Street, Noblesville, Suite 160 the 3rd Monday of the month 9:30 to 3:00, provided at no charge. Bee members/guests will sew quilts for the sole purpose of the Mission Statement. Community will also provide storage area when available for donated fabrics and sewing aides. Quilts will be sewn at monthly meetings and at members’ home. All donated fabrics not used must be returned to the Bee Administrator at the monthly meeting for storage. All quilts are to be made from cotton quilt material, cotton batting and cotton backing materials (exception to cotton batting can be 80% cotton and 20% polyester). Bindings must be machine sewn (no hand sewing). Receipts should be saved for batting and backing materials with items circled that were purchased including calculation for tax. Receipts should be turned in to Bee Administrator with completed quilt. Current reimbursement is up to $60 per quilt. If a label is not provided, a piece of paper with donor’s name should be secured to the quilt. Sales tax is not reimbursed. Bee Administrator will record quilt in Excel spreadsheet with donor name and whether it is intended for a man, woman or either. Quilt will be photographed for future posting on Facebook page and any programs throughout the year. Bee Administrator will photocopy all receipts, record on cover letter itemizing receipts and totals per person and mail original receipts, cover letter and address list to Head of Volunteers at Community North Hospital for reimbursement by the Hospital Auxiliary who will mail the check to the donor. File copies will be retained by Bee Administrator. Bee Administrator will package completed quilt in a clear plastic bag with tag for man, woman or either and will transport quilts to storage area (current location is at Quilt Expressions, Noblesville). 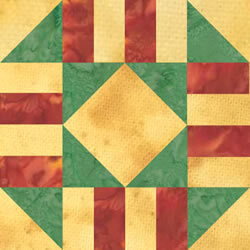 A yearly quilt show may be conducted to the public of all completed quilts. Suggested admission donation of $5 will be collected and given to Mudsock Treasurer. Proceeds will be split between Mudsock treasury and a separate fund for reimbursement for quilt backs for donated quilts. These Regulations and Guidelines will be reviewed and updated annually. All Bee members will receive a copy of these statements. Any questions or comments should be directed to the Bee Administrator.